Here the short method of sending apk whatsapp to whatsapp. Now a days whatsapp is most popular social icon among us. Millions of peoples sending and Receiving text, images and audios by whatsapp. 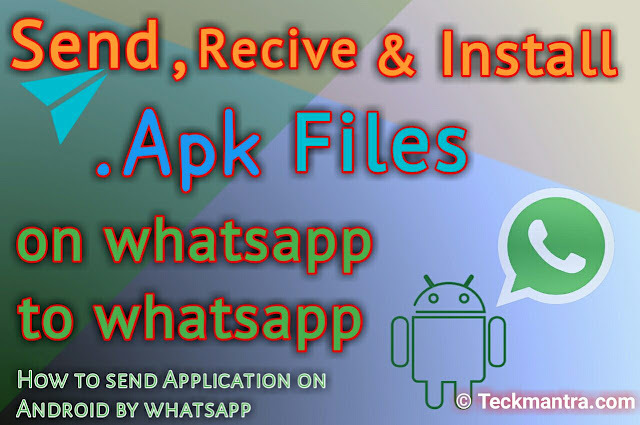 But the Sending of android application is little bit popular, Happy to introduce an amazing features of whatsapp Read the article how to "send apk files on whatsapp" to whatsapp using of Internet. Step : 1 Open whatsapp and Select the Contact where you want to Share Apk files direct. Click on Pin Button from the Typing Bar. Then Click on Documents Button from inside it. Step : 2 Click on Brows Documents. Here your Documents and Recent files opened. 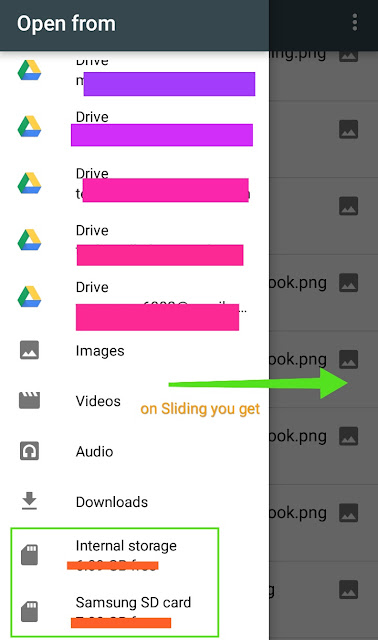 Step : 3 Click on Dotted icon from Upper right corner. 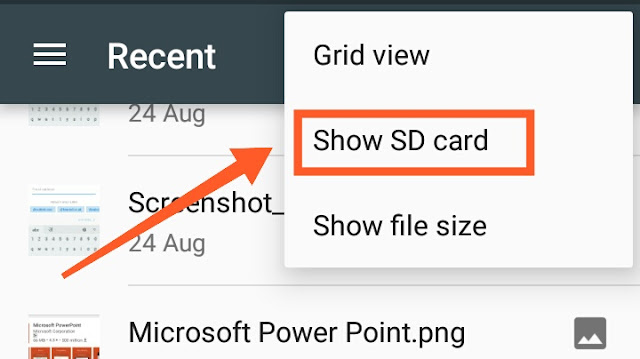 By doing this you got both options, SD card and Internal storage in Your Recent tray. Step : 5 Select the Storage and Apk (Android Application) files from the Storage. Confirm the Sending Duologue Click on Yes. 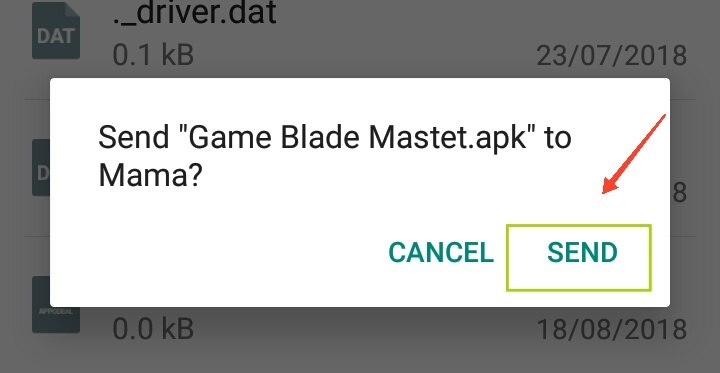 Here Your Apk files are Sended to your Targeted contact. 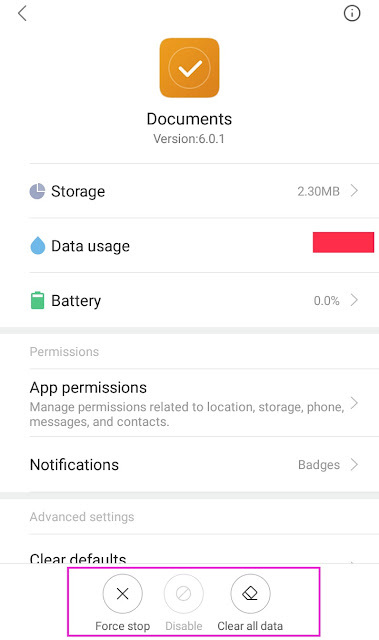 Make Sure you have to be enabled data connection in your mobile. That's All You Done. The apk files will be sending soon. 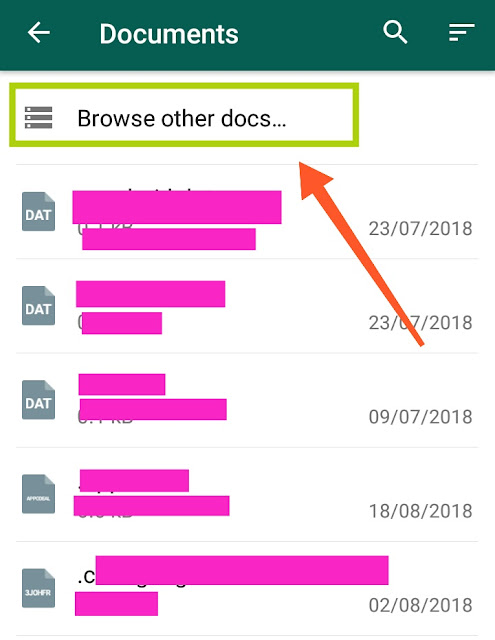 How to fix "Enable Documents First" Error duologue. 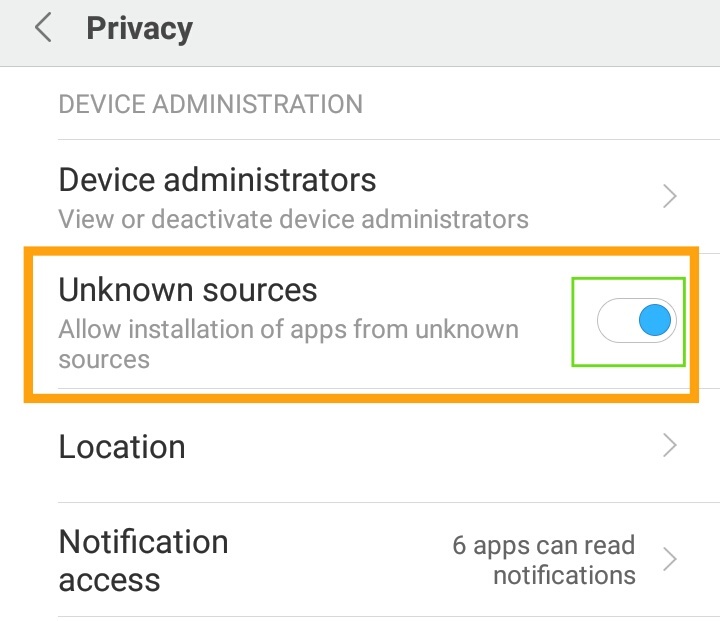 You got such error In some devices because the documents and settings are disabled inside the mobile. Make sure the Documents are enabled. 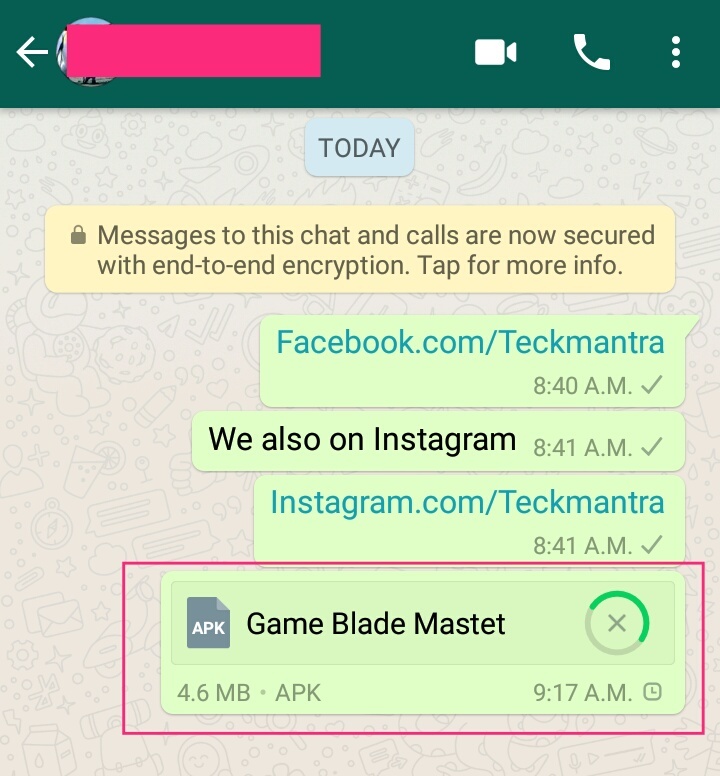 The whatsapp Doesn't Allow to open apk file on App. 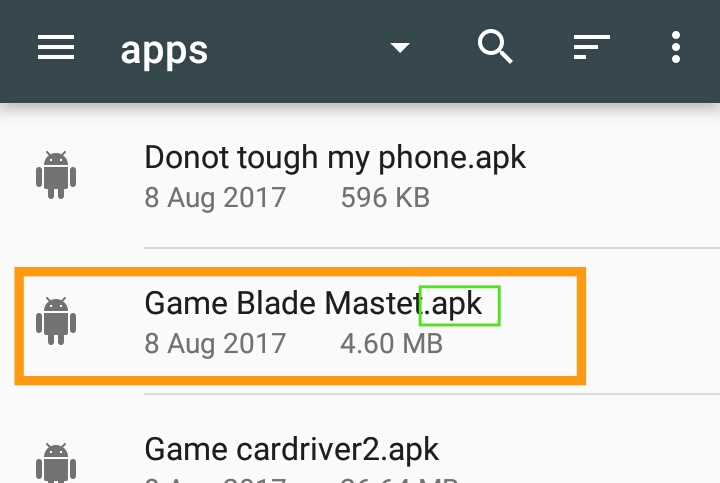 So, for open and install the apk files Follw the steps. In my case my Default Storage is internal storage. Step : 3 Open "Media" folder inside from it. Step : 4 Open "Documents" folder inside from it. Step : Open "Receive" folder to get or install the apk from whatsapp. 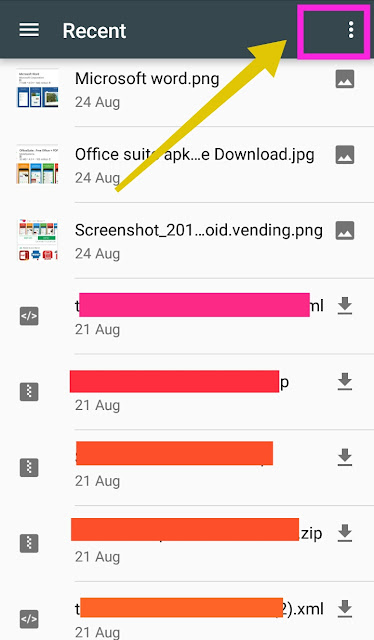 In Case of Senders check "Send" folder to see sanded Apk. Click to send to Receiver or copy Link and send it. Before installing the apk You need to Enable "Unknown Source" in your Device. That's all for sending and Receiving apk files on whatsapp to whatsapp. 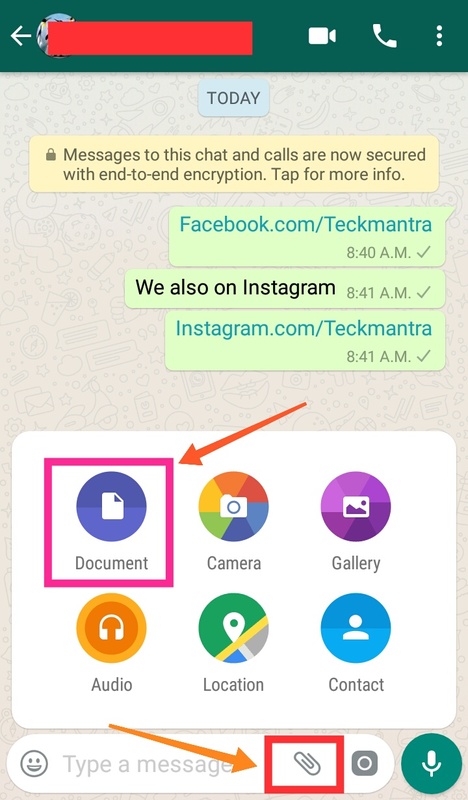 Now sends your app or .apk files with friends and family free by whatsapp. 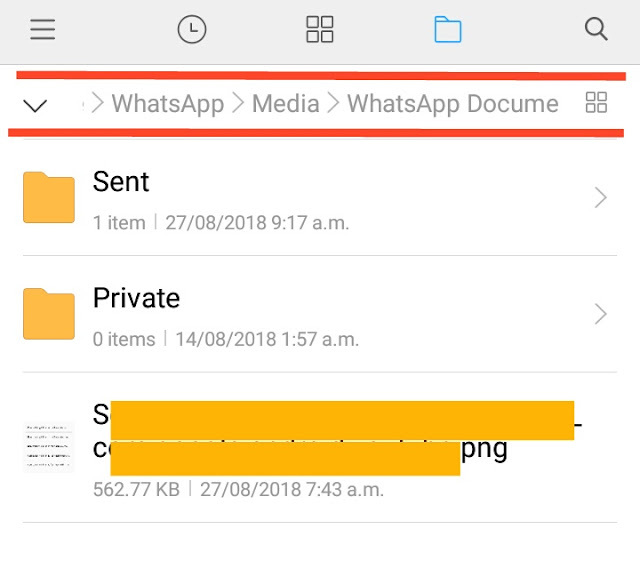 Final words : Here the Post how to send, receive and install apk files from whatsapp to whatsapp. The settings location may varies with devices. Here I'm using to show in screenshot Redmi 3 s prime.